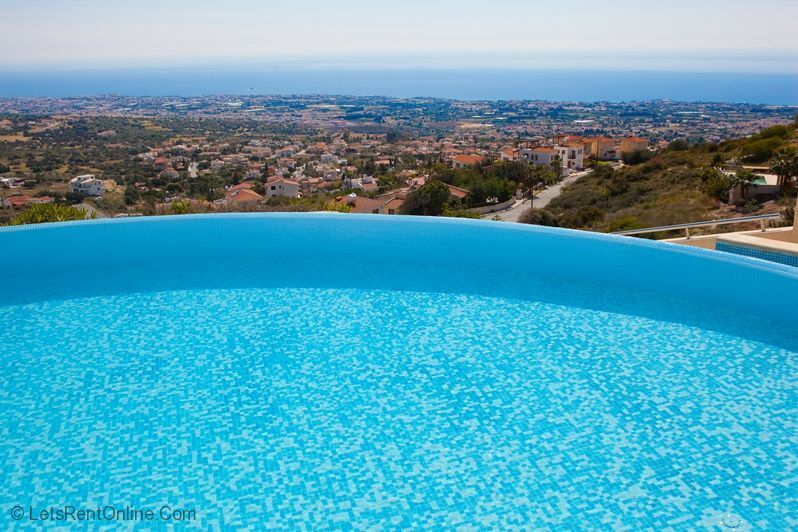 Treat yourself to a luxurious escape; consider Serenity Villa, a very executive villa located in Tala, Paphos, boasting the most stunning views across the Mediterranean Sea. 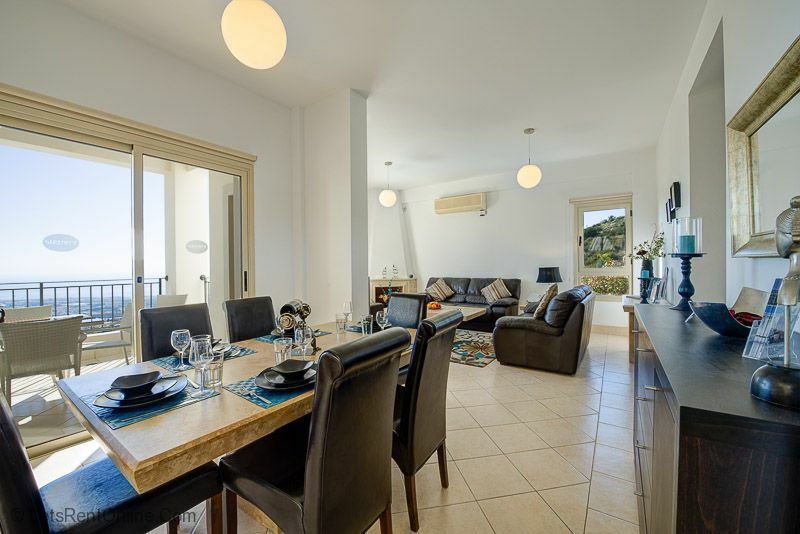 Designed over 4 levels there's ample room for you and your party to enjoy a quiet luxury holiday and socialise at home or in the thriving village square. Relax and enjoy your holiday in this stunning new 3 bed villa built by a quality, independent developer who has ensured the highest of standards throughout. 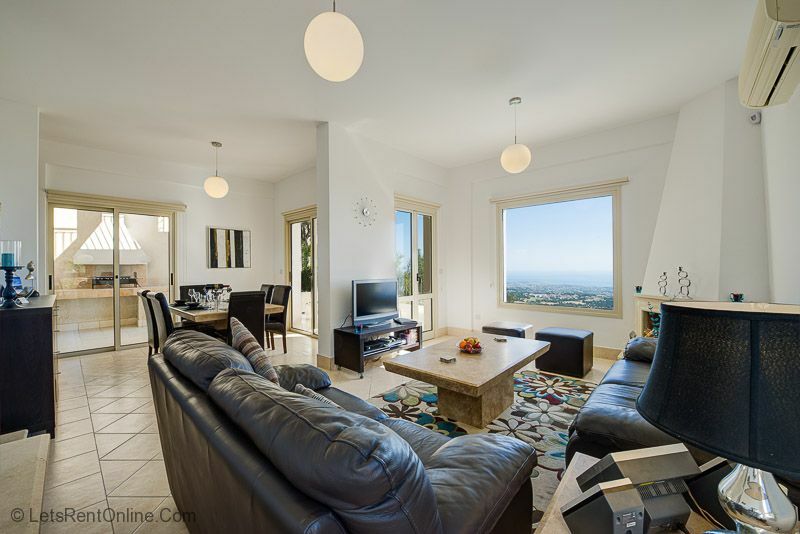 An all round Sea View & Tranquil Location. 3 Bed/Sleeps 6 (Option for further 2 guests with in downstairs bedroom with adjacent bathroom). Ensuite to Master Bedroom. 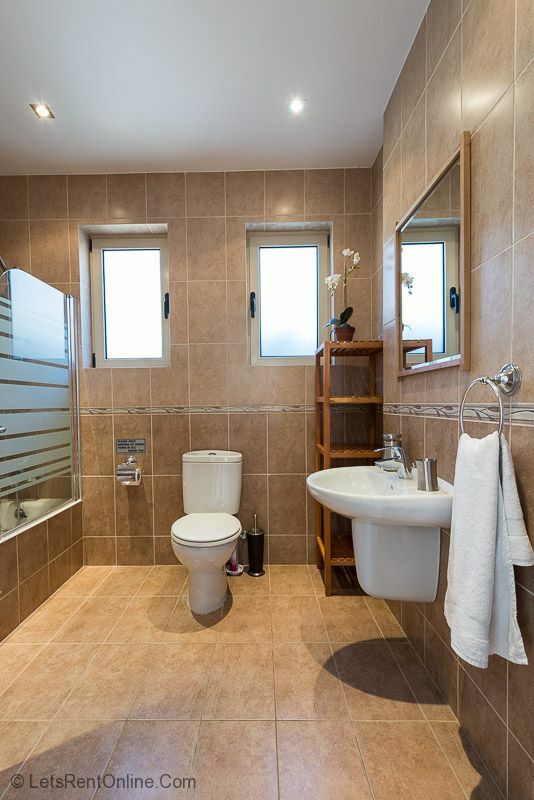 Family Bathroom and Ground Floor WC. Table & Chairs on upstairs veranda for alfresco dining & admiring the spectacular views. 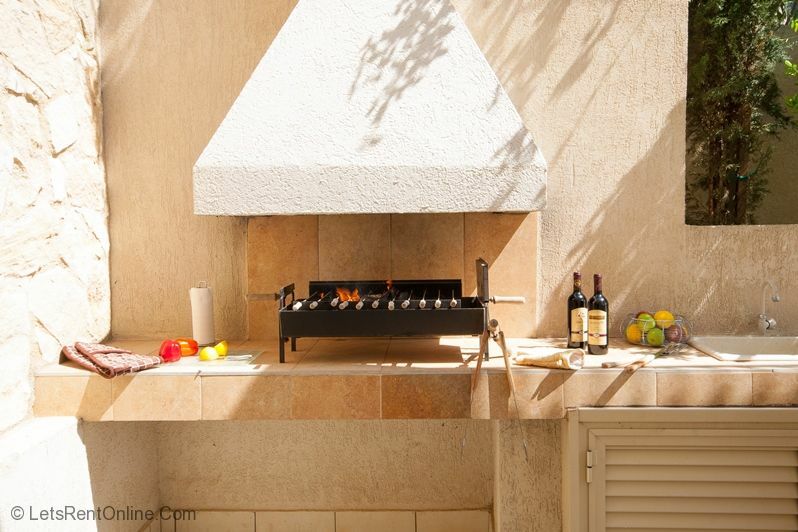 Built-in Barbeque Area & Patio Set. Luxury Sunbeds with towels & umbrellas provided. 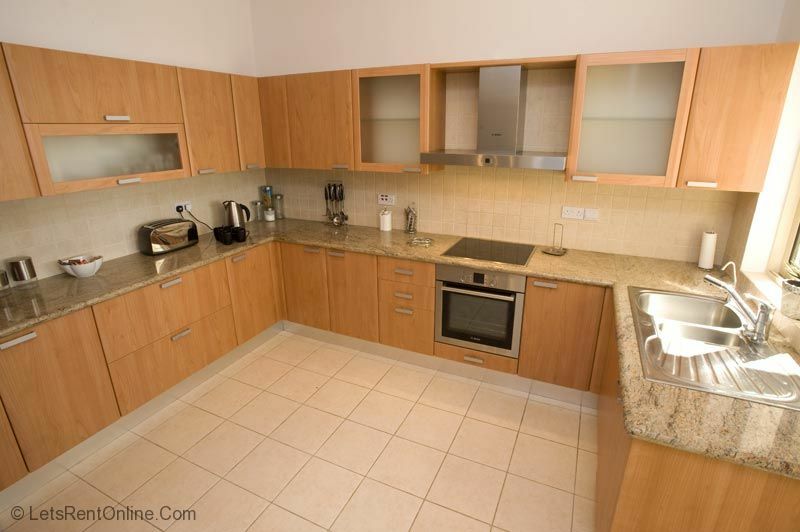 Fully-fitted designer kitchen with Bosch Appliances: Dishwasher, Washing Machine, fridge freezer, microwave, toaster, kettle, utensils, hairdryers in all bedrooms, CD & Radio, Satellite TV,iron and ironing board. FREE air conditioning/heating and all fire safety equipment for your piece of mind. 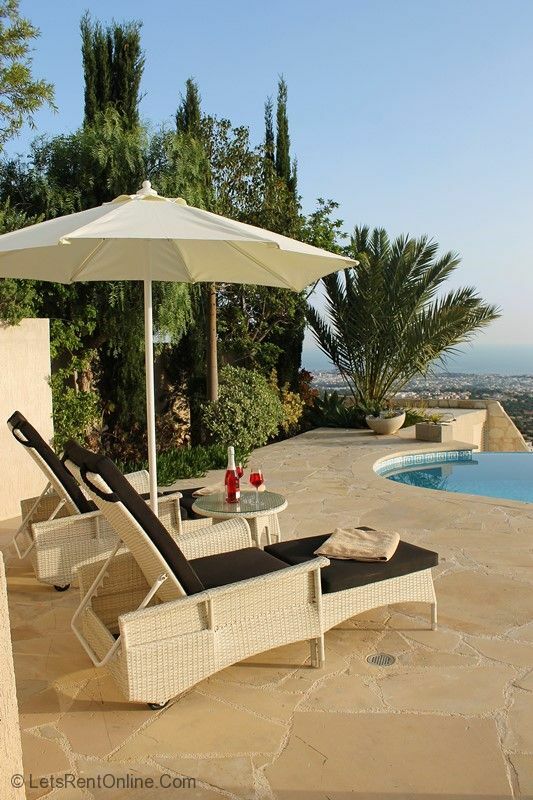 The hillside location of this property means that steps lead to the main door from the roadside and it is not suitable for wheelchair users.Serenity Villa is situated in the breathtaking hills of Tala, in Paphos. 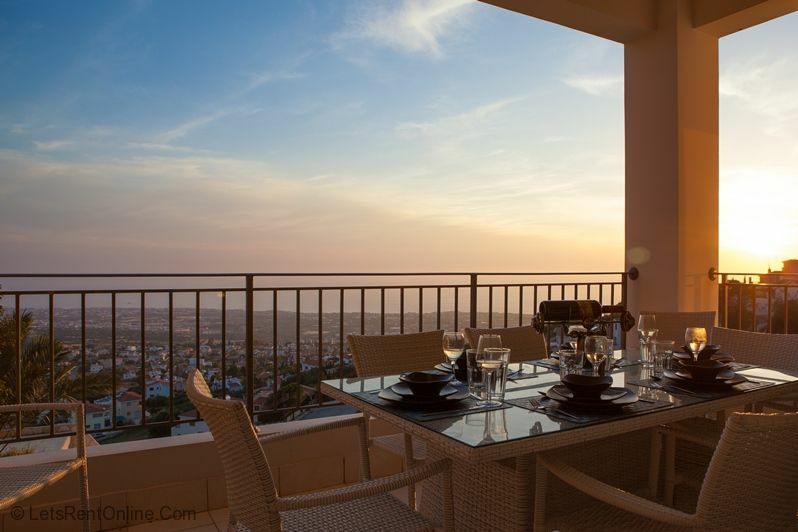 Its elevated position ensures all-round town and sea views which can be enjoyed from the landscaped garden, swimming pool and from most rooms of the house. ''Faultless Villa. The location was Suitable to our needs and very peaceful but still within reach of town and bay by car or taxi. 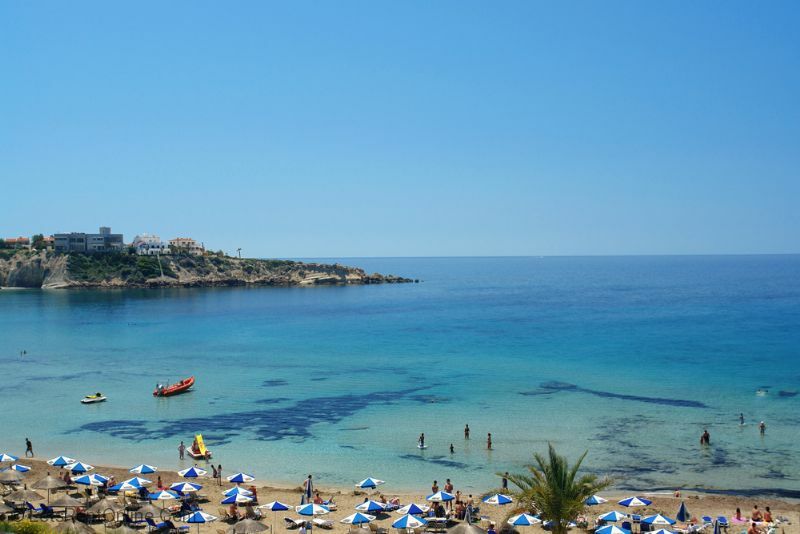 We recommend Sea you beach bar, Kissonerga. Very Satisfied with all service received. No suggestions to improve ''. 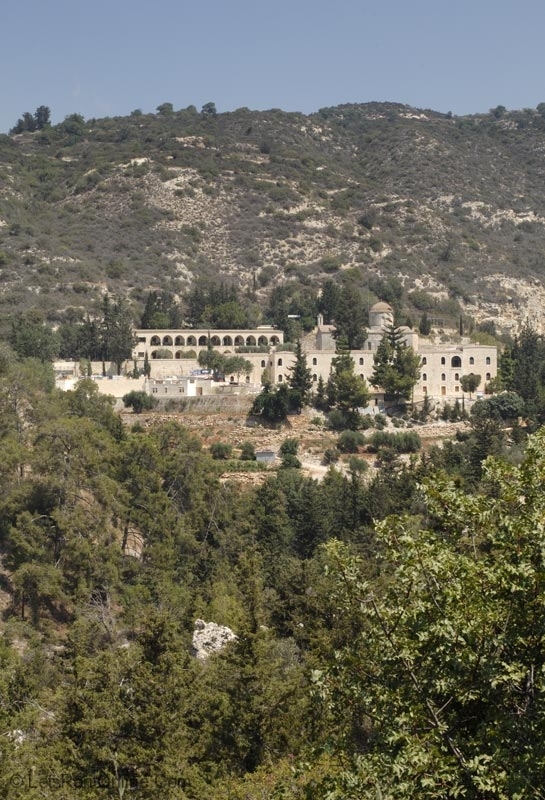 ''Villa itself was lovely. Pictures I had previously seen were accurate so no surprises. The pool was beautiful and the view was amazing just a shame we couldn’t use it that much. Location was a little far from the main town/strip however for us this wasn’t a terrible thing. You had to take a taxi down but it wasn’t that expensive. Coming back to the villa was lovely as you are away from the hustle and bustle. It all felt very boutique and private. Overall, it depends what you’re after. For us location was great as we wanted a mix of privacy and close enough to the town. We would recommend Muse kitchen and restaurant. Laona. Zeus. Rainbow club. Gorgo travel. I’ll be sending a separate note on this later but I am genuinely overwhelmed by how great of a service you have provided. You’ve been fantastic. As said, I will send a separate note on this. ]Yes, extremely with the owners! They were so attentive and very helpful. Very nice couple. ''. ''Clean and well equipped, great view. Far enough away from the hustle and bustle to be peaceful. We recommend Latchi Watersports - can't praise them enough - efficient, professional, genuinely friendly and a thoroughly good experience. We were satisfied with all service received from you as agents and the owners. ''. ''Thank you for your Kind emails. We’ve just received the deposit - thank you! We had a really great and stunning time in Villa Serenity, absolutely perfect! Please find in your Email our suggestions. 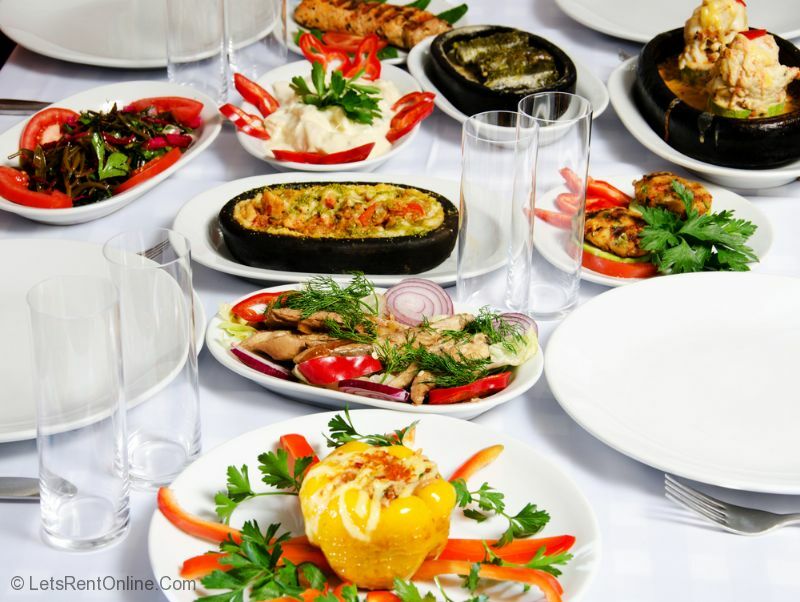 We can absolutely recommend “Arsinoe” fisch tavern in Polis Chrysochous and antoher tavern which is located in Kennedy-place 6 in 8047 Pafos, which offers delicous local food. We were absoluty satisfied with all Services such as taxi-Transfer from the Airport as well as the car rental Company and the offer for renting a boat in Latchi. We will come back. ''. ''The villa was delightful. It was clean, spacious and very well appointed with quality furniture. 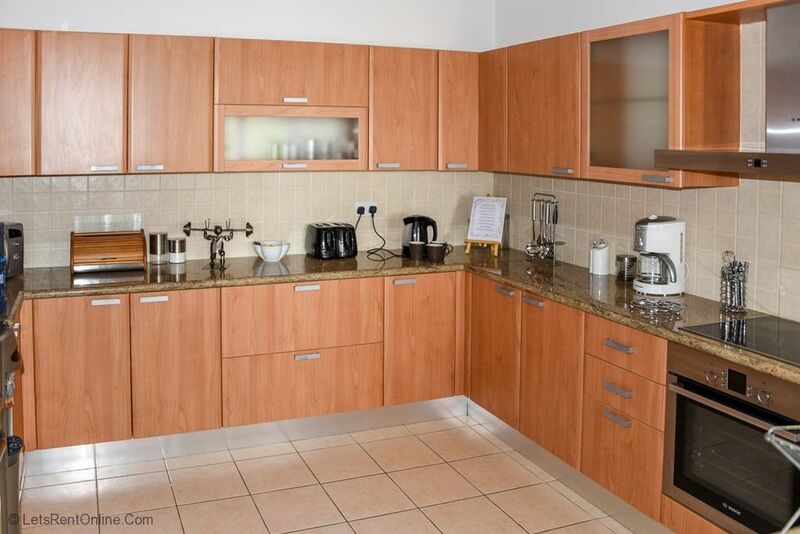 Everything in the property was well maintained and in excellent order. The pool was amazingly clean; we have never stayed at a villa where the owner took such pride in the pool, so much so that he cleaned it everyday. The location is lovely. It is out of the way in a very quiet area with just the owners for immediate neighbours. It was very quiet and peaceful which is just what we wanted and commanded lovely views of the sea below. We found some very special places and received a warm welcome as friends each time we returned. These places are special to us. The service provided by LetsRentOnline has always been efficient, polite, courteous and professional. We have received excellent service, all our questions have always been answered honestly and we have received the support we asked for with no trouble at all. We can't fault the service we have received, and we always receive a prompt reply to emails no matter what the time of day. The owner lives right next door and was always available if needed but never intrusive. The owners treated us more like visiting family than customers. I would hate to say anything that would be viewed as criticism as the service, the property, fittings, furnishings etc. are perfect. 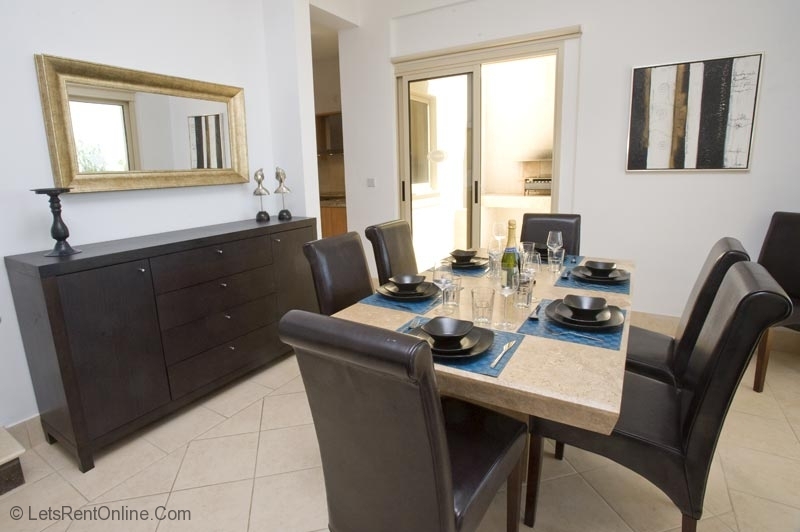 The villa is incredibly well appointed and has pretty much everything you could want. ''. 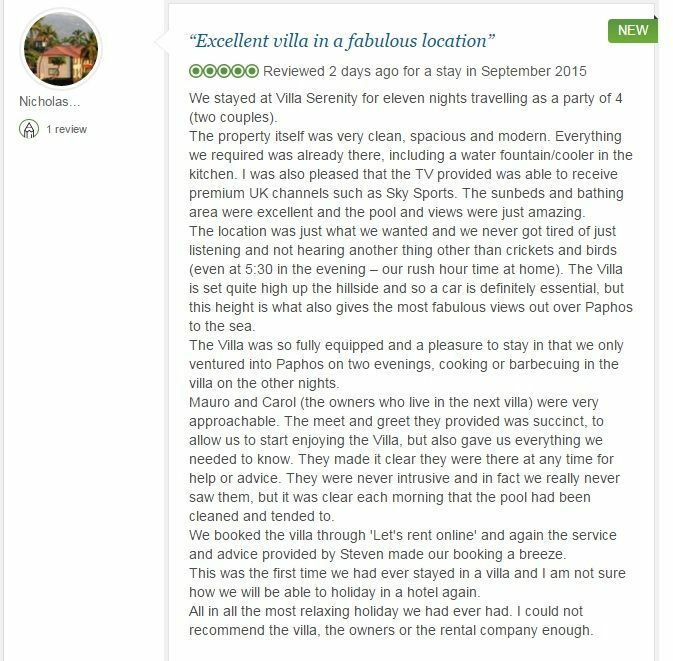 ''Before I answer any individual questions let me assure you that we had the most fantastic time at Villa Serenity. The most relaxed holiday we have ever had and it will make going back to Hotel holidays very difficult! The villa itself was very clean, spacious and modern. Everything we required was already there, including a water fountain/cooler in the kitchen. I was also pleased that the TV provided was able to receive premium UK channels such as Sky Sports. The sunbeds and bathing area were excellent and the pool and views were just amazing. The location was just what we wanted and we never got tired of just listening and not hearing another thing other than crickets and birds (even at 5:30 in the evening – our rush hour time at home). 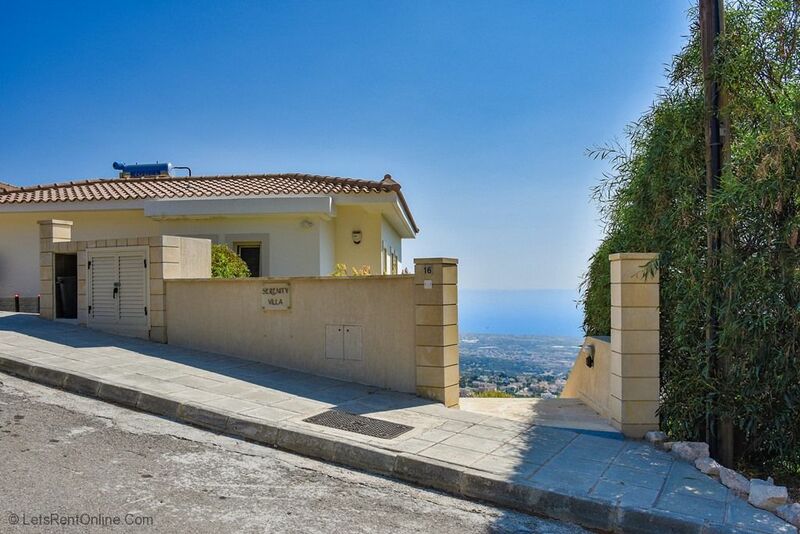 The Villa is set quite high up the hillside and so a car is definitely essential, but this height is what also gives the most fabulous views out over Paphos to the sea. The Villa was so fully equipped and a pleasure to stay in that we only ventured into Paphos on two evenings and so cannot really recommend any trips (however Porto Bella Restaurant in Paphos is an amazing Italian Restaurant and one we have been to many times before and will return to on each occasion we visit the area again). We were very satisfied with the service you provided. When originally making the booking I was amazed to have email replies from you the same evening, even though I had not made my initial enquiry until about 8:00pm. You provided advice to us on more than one occasion, in relation to car hire, for example. All correspondence required for the actual travel was provided early and was thorough and informative. Mauro and Carol were very approachable. The meet and greet they provided was succinct, to allow us to start enjoying the Villa, but also gave us everything we needed to know. They made it clear they were there at any time for help or advice. They were never intrusive and in fact we really never saw them, but it was clear each morning that the pool had been cleaned and tended to. We absolutely hope to visit again. This is the first Villa holiday we have been on and it has opened up a whole new set of possibilities. Thanks again for all your help through the booking process. You provided a holiday that is going to take some beating in the years to come.''. ''Immaculate villa. Infinite pool especially nice. Good strategic location 'midway' along the western coast. Allows relatively short drives north or south along the coastline. For restaurants, Casa Luna was very close and convenient. Otherwise, would recommend the 10-15 minute drive into Paphos town where there's a good choice of eateries. All service perfect - thank you''. 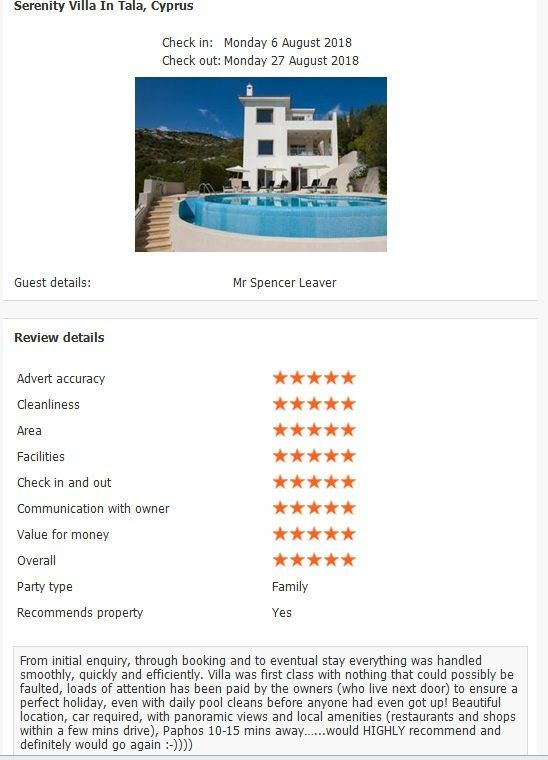 ''The villa was very good and looked just like the brochure. 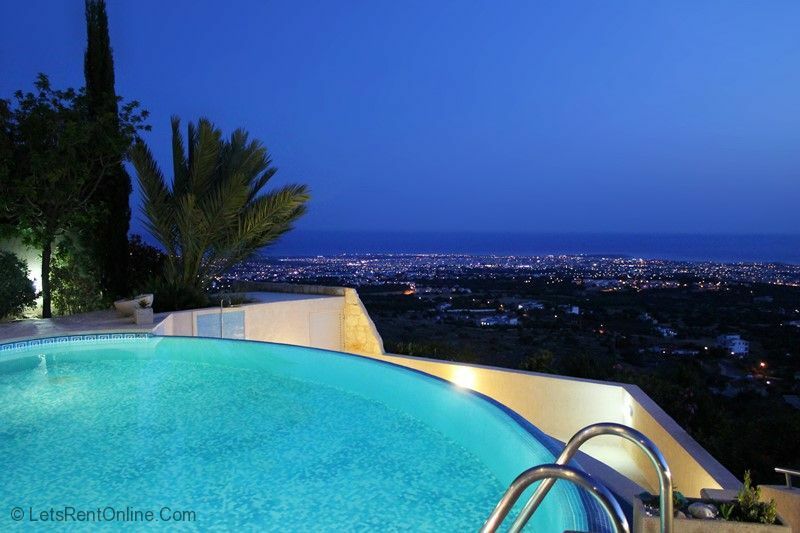 The location was excellent in a quiet residential area with good views and easy reach of Paphos and the surrounds. 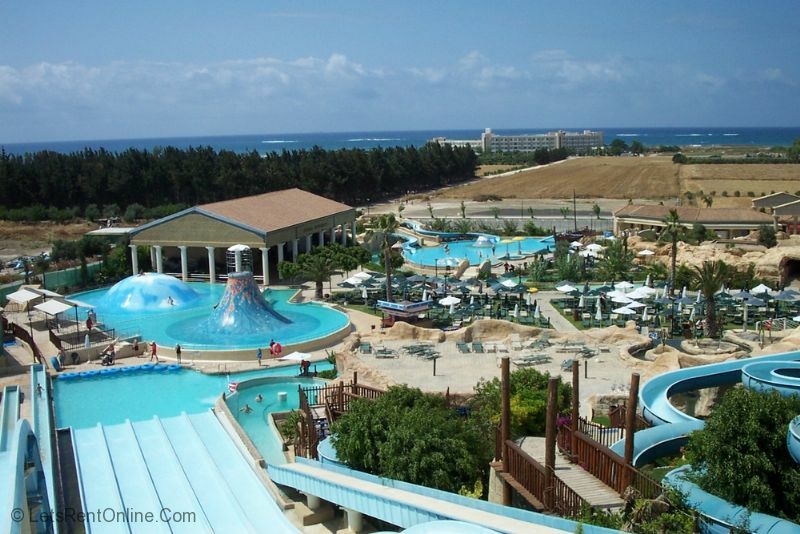 We recommend Lemesos waterpark, Historical sites around Paphos, Troodos Massif. Very good service from agentsand owners''. 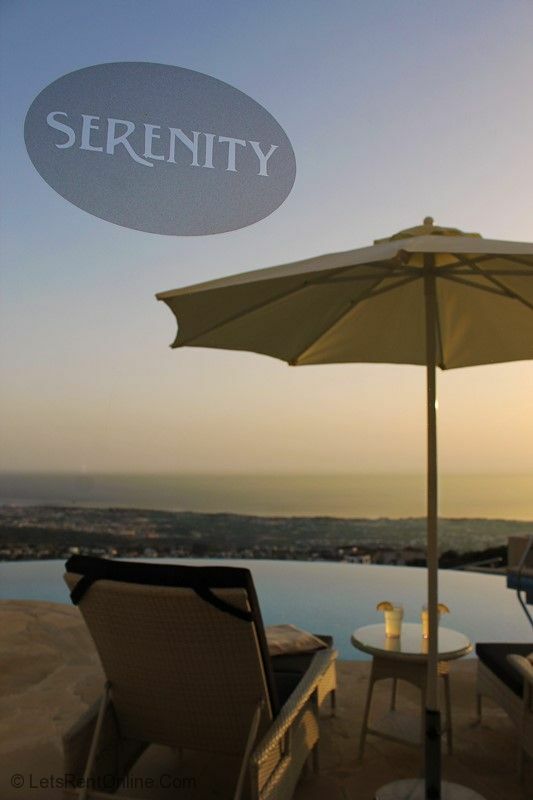 ''We would highly recommend The Villa Serenity to everyone. It was definitely top spec everything provided for comfort. It had the most fantastic view day and night. The owners were on hand and very helpful. When booking our holiday we were kept up tp date and very efficiently. Coral Bay and The Zoo were nearby and very enjoyable. 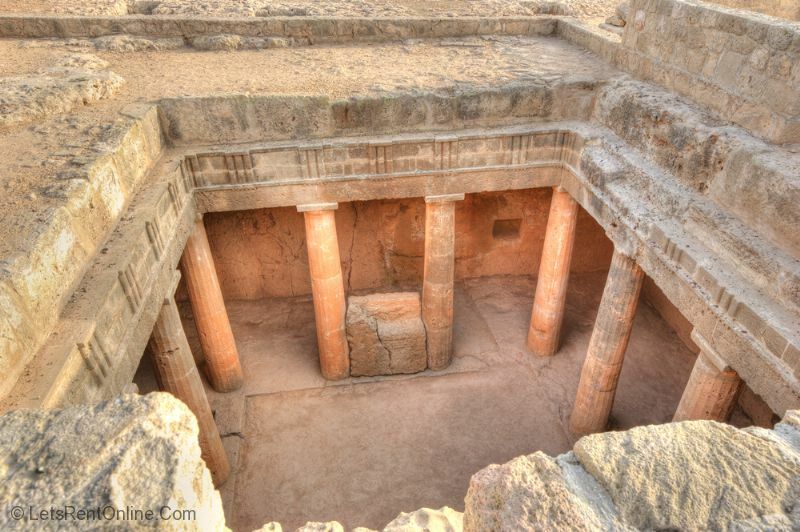 Paphos was easily accessible once you had your bearings. Plenty of shops, supermarkets and bakeries on hand. Restaurants and bars are along the coast and all very friendly. 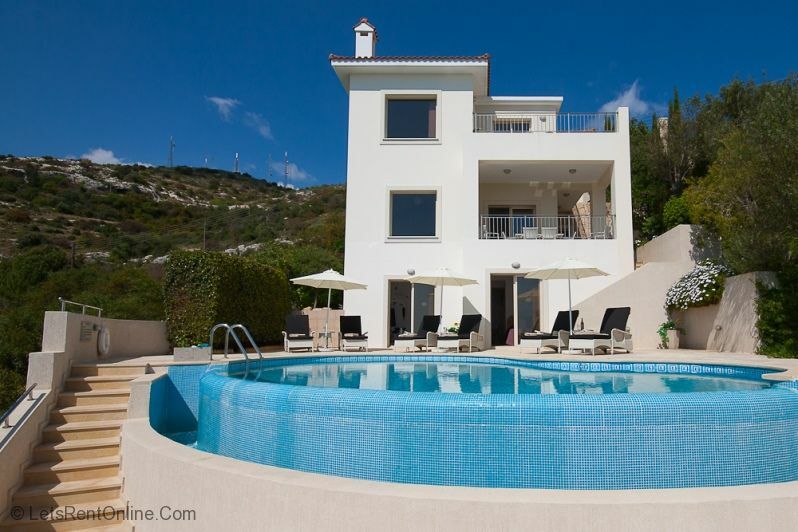 ''Fantastic villa, loved it very well kept. Perfect location. Kourion beach was probably our favourite, also the beach bar there sells great food, and St. George restaurant on the Arkamas peninsula (near the Zoo), fantastic sea food, beautiful view. First class service from agent and owner, very prompt and courteous''. "Fantastic, excellent standard. Perfect, just as described. 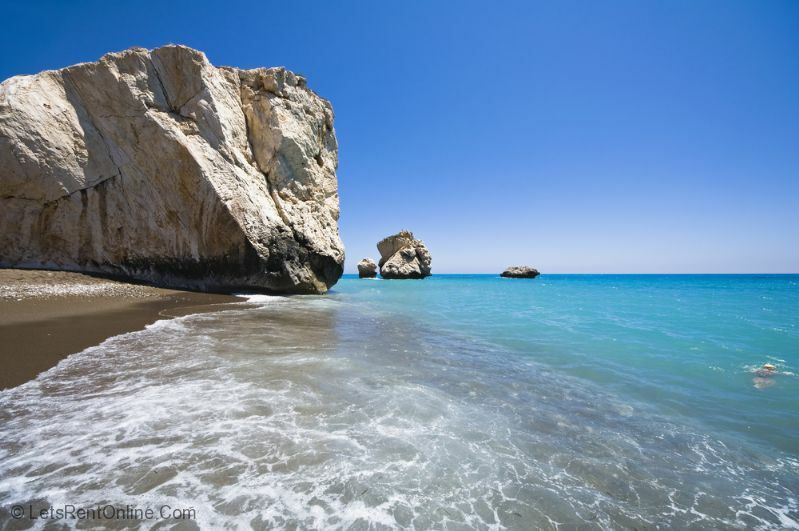 Pissouri Beach was really nice,, and the Lazy Day Boat Trip from Paphos Harbour was worth doing. LetsRentOnline were very efficient. Very handy to have owners next door in case anything went wrong." 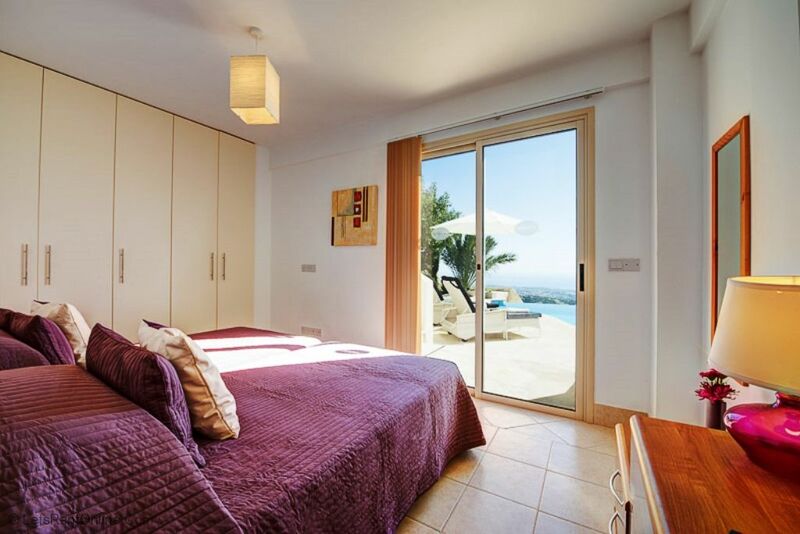 "We very much enjoyed our stay and would be happy to recommend the villa to others. We also appreciate the professional way in which you have handled the booking. Regards. Malcolm Clavell"
"We had a lovely relaxing holiday, just what we needed after a very busy year. 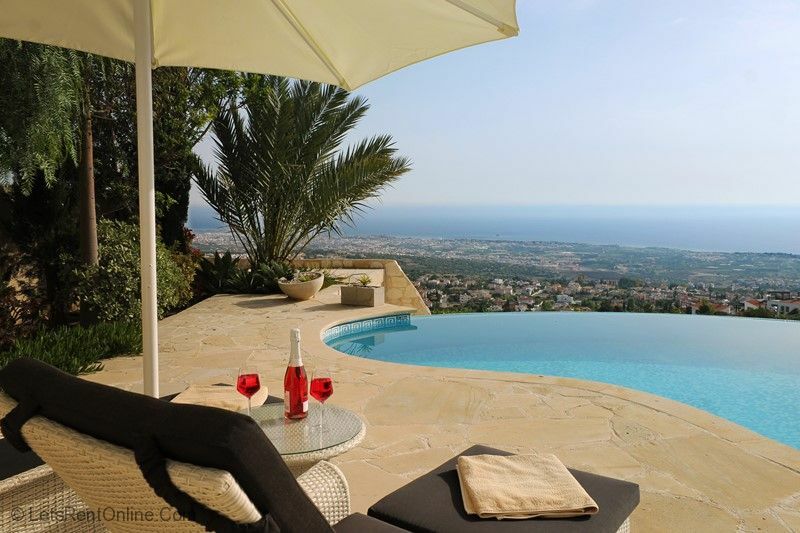 The villa is absolutely beautfiful with great views! The girls loved the pool, relaxed in the day and went out to great restaurants at night. Thank you for making the villa home from home!" "Not the cheapest villa, but then again you get what you pay for - LUXURY! 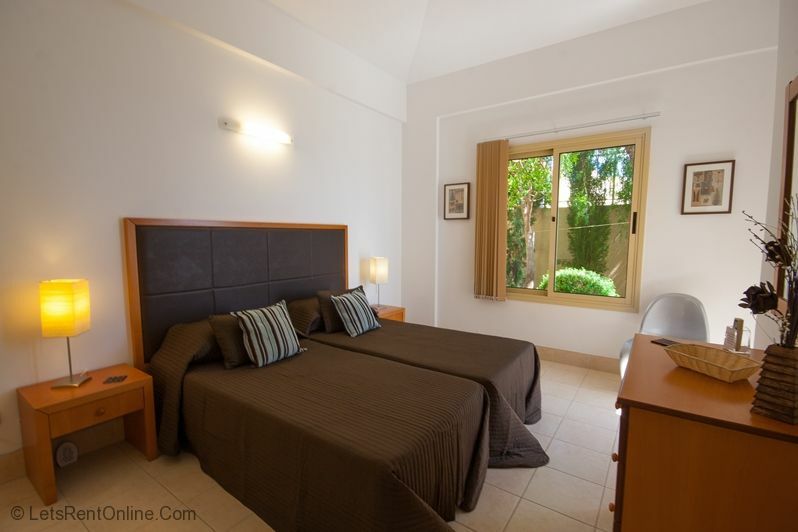 20 min by car to the tourist areas, 5 min to supermarket and bakeries. Would we go again?, try stopping us!!." "We thoroughly enjoyed this holiday which for us, was a chance to get away together as a family as we are now spread around the globe. The owners were most diligent in greeting us, even though our flight was late at night. 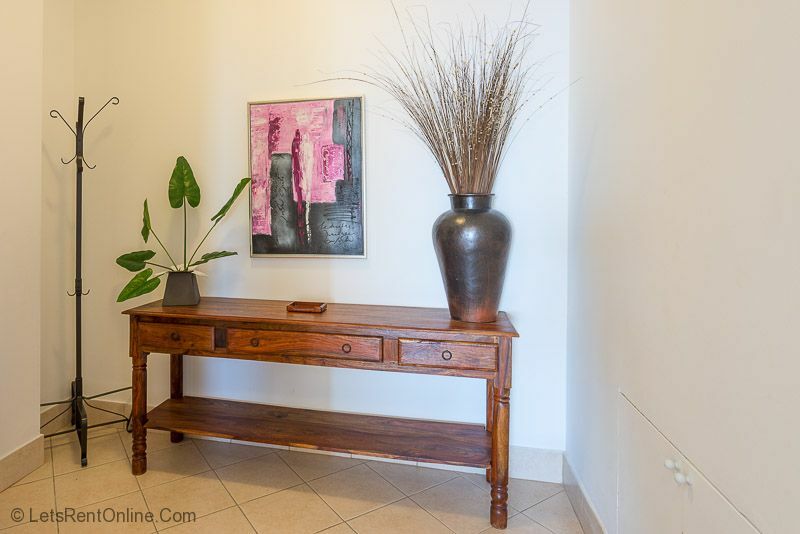 The quality of the villa was excellent and beautifully kept and maintained. All the facilities were greatly appreciated by different members of the family. 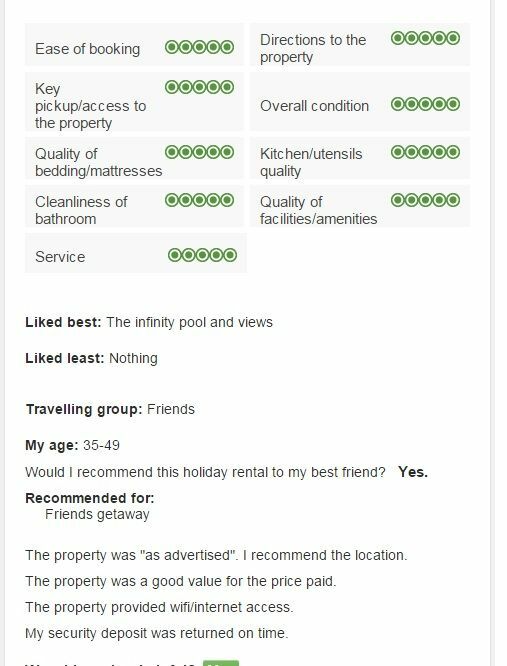 We would thoroughly recommend the property. 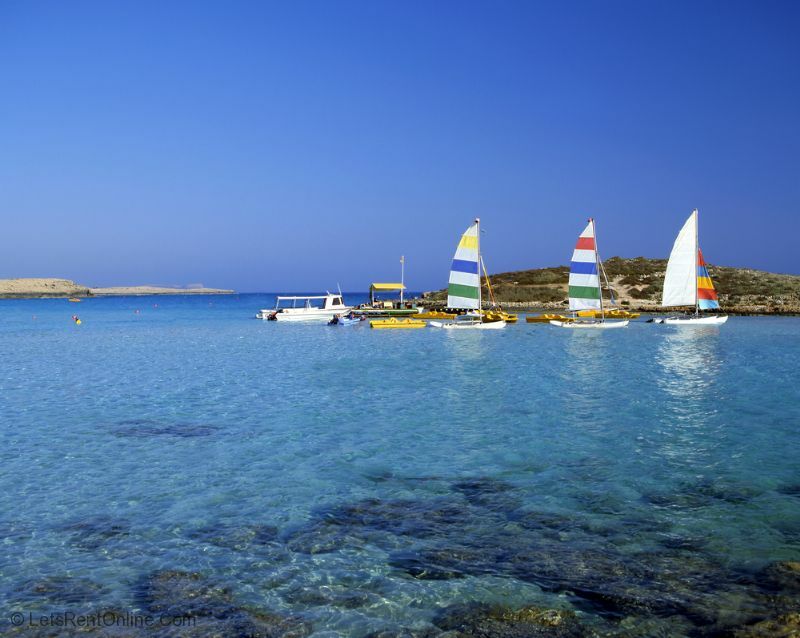 The location is ideal - accessible to Paphos and its attractions but tranquil and beautiful. 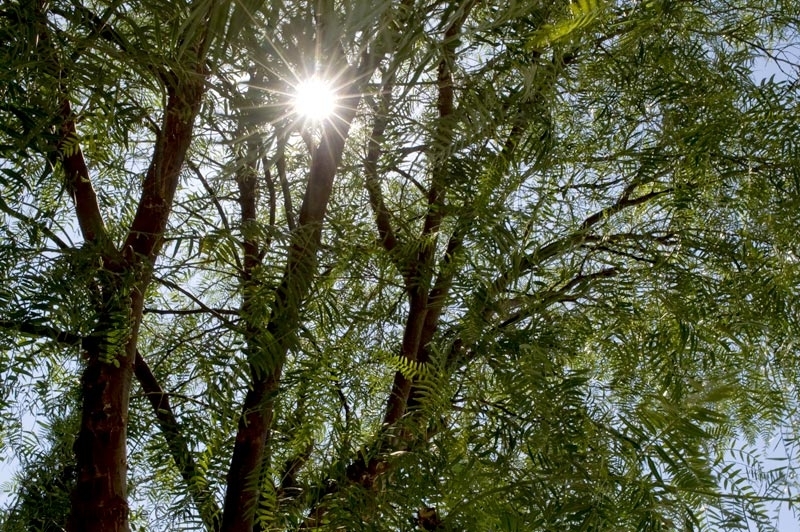 Always a welcome gentle breeze. Would love a return visit." "From start to finish this holiday was perfect. Mauro and Carole were friendly welcoming hosts. Nothing ever too much hassle and only next door if we had any questions or problems. The property itself is fantastic. Finished to a high standard, loads of room, clean, modern and located in such a fantastic place. It is so peaceful and quiet. If you want to relax then this is definitely the place to go! 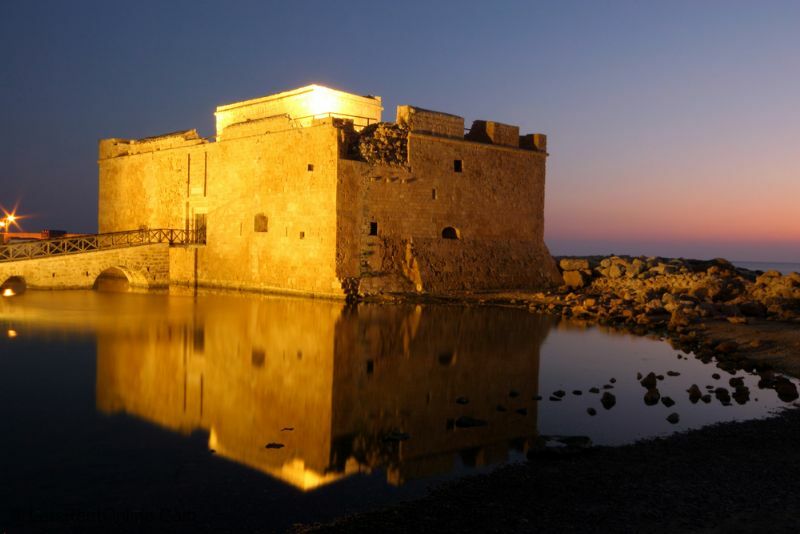 Youll definitely need a hire car as the property is situated high up in the hills of Paphos in the lovely town of Tala. 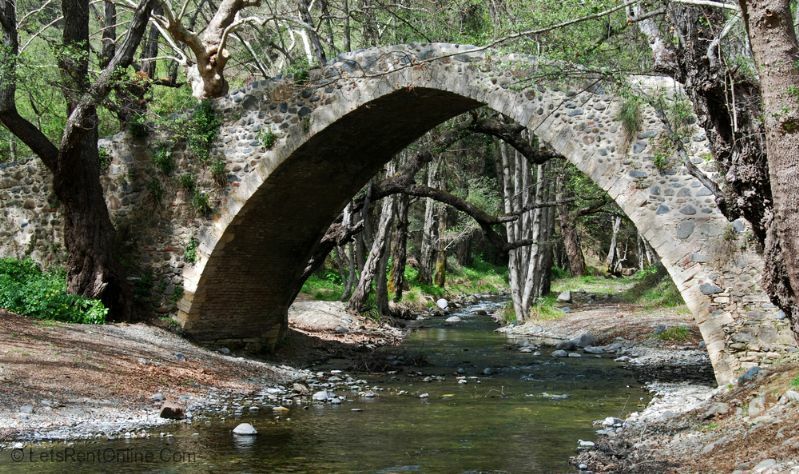 It is only a short drive into Tala itself where there are some nice tavernas and a few shops. About a ten minute drive into Paphos itself where there is everything you could need (supermarkets, clothes shops, restaurants etc etc). Coral Beach is about a 15-20 min drive away which is where most people tend to go if you need some beach time but we only spent a day there as the villa with its privacy, quietness and infiniti pool were too hard to leave! The Wifi was a useful feature to keep in touch with family at home and the Sky TV useful for the few times we needed it without having to decipher greek TV! 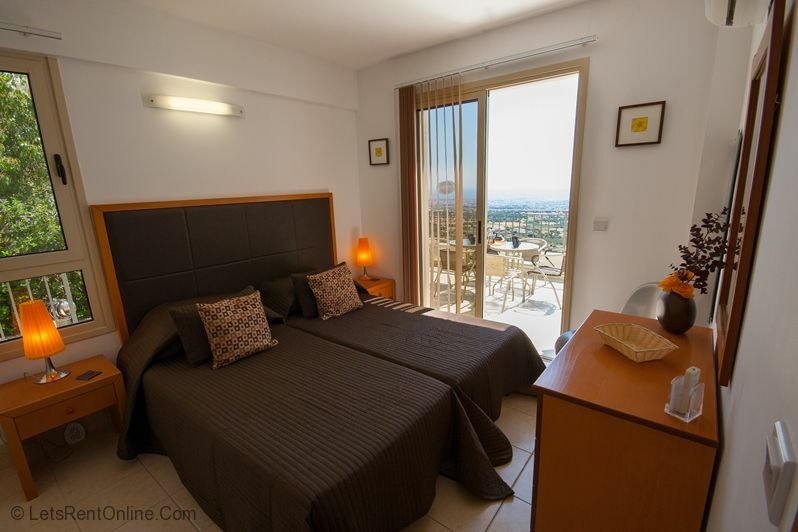 There is air con in every room that needs it and proved invaluable for the stay. Especially a couple of days that were 40+ degrees. The filtered tap water system was also a life saver. We probably used about 20-30 1.5 litre bottles of it during our stay. Wed fill a couple with it and leave them in the fridge and top up when necessary. Saved us buying loads of bottled water and all the plastic too! We had a fantastic relaxing time and as expected leaving was hard. We would love to return at some point in the future now we know where everything is (shops, entertainment etc). Highly recommended. You wont be dissapointed." 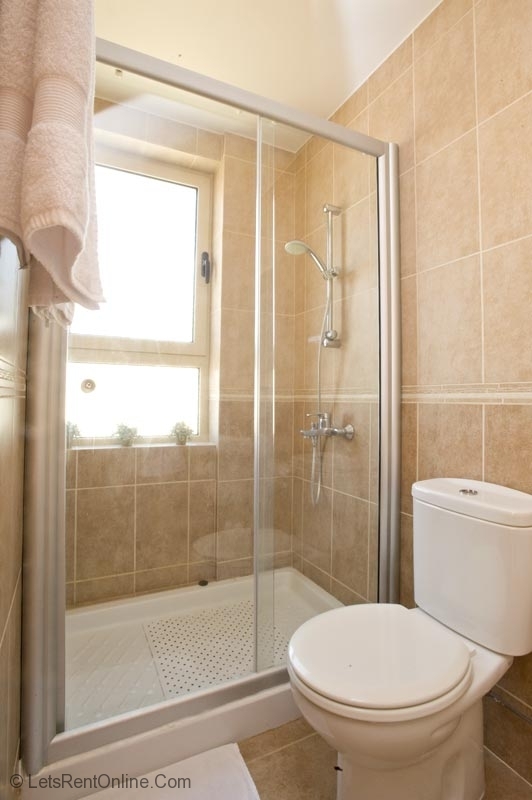 "This is an excellent property finished to a very high standard of specification throughout. 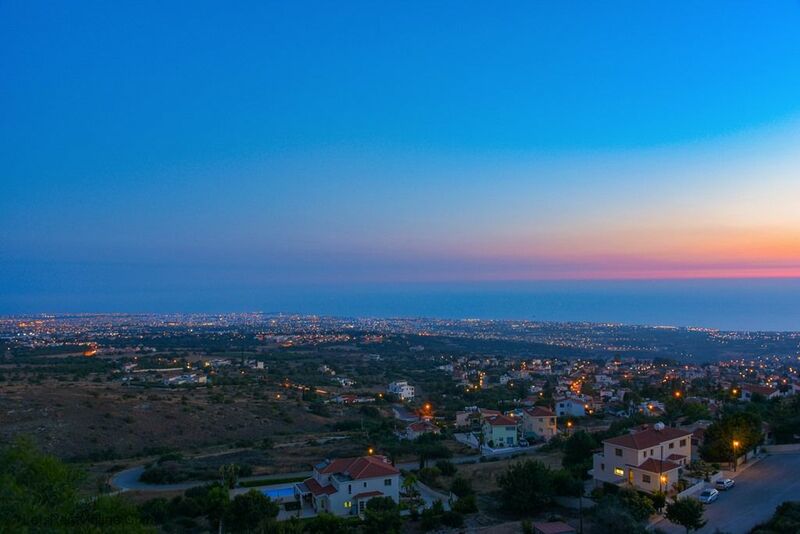 The location high on the hills overlooking Paphos and the surrounding district is impressive and even more stunning at night. A car is necessary, even its just to transport the shopping from the 2 major supermarkets situated some 3km. The village of Tala is walkable but a bit of an uphill slog on the homeward journey. The setting is quiet and private yet you are not isolated Mauro & Carole, the very pleasant owners, live in the property next door and are available should you have any queries. 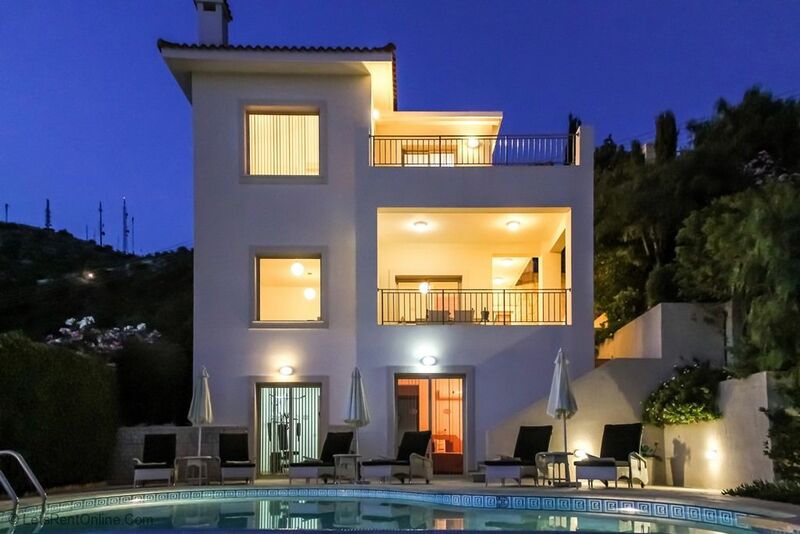 We all have a fantastic time and enjoyed the space offered at this luxurious Villa. 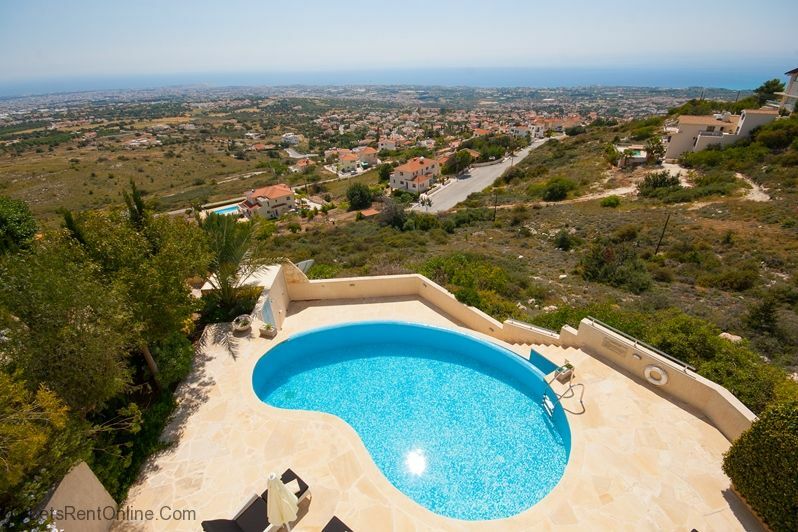 Would without exception recommend to anyone, if you want to be accessible to Paphos but enjoy tranquillity the this is the Villa to rent. Thank you Mauro & Carole. Hope to see you again in the future." 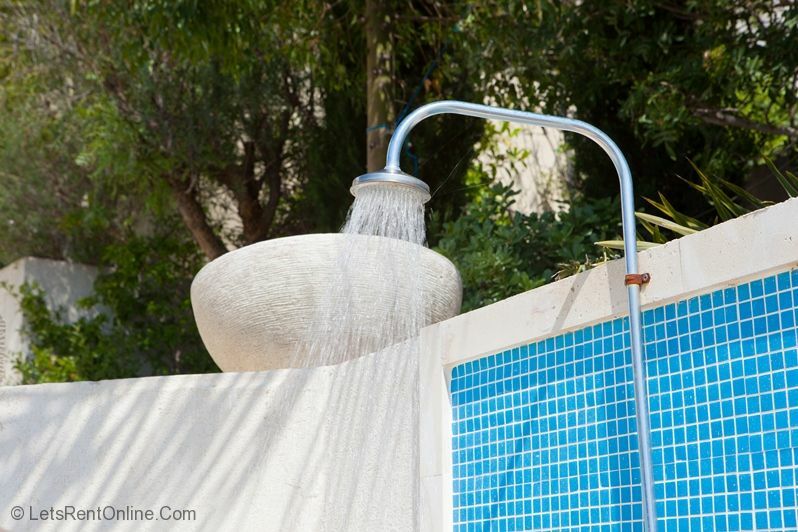 "This was our second visit to Villa Serenity, and the only problem is knowing when we can go back for our third time! I think I used pretty well all of my bank of superlatives after last years holiday, but I will gladly repeat them all this year! We felt at home immediately on arrival, aided in no small part by Mauro & Carole who will go out of their way to make you feel welcome. 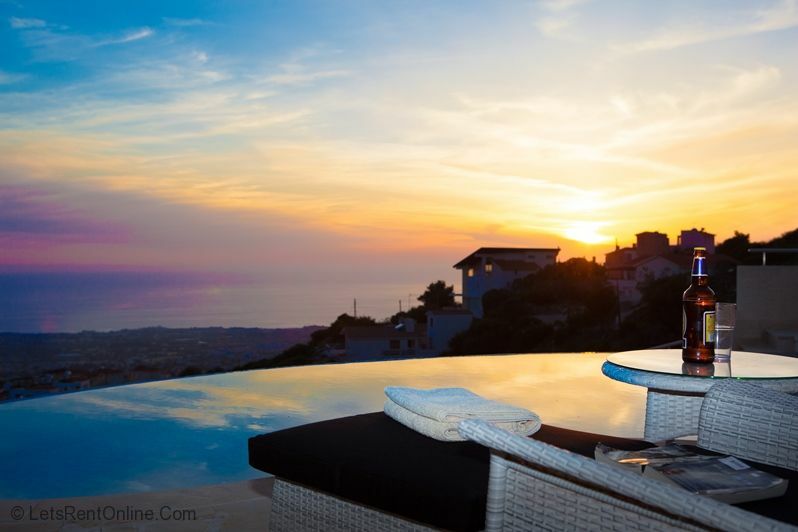 This villa provides absolutely everything that you could possibly want - the most valuable commodity being peace & quiet. 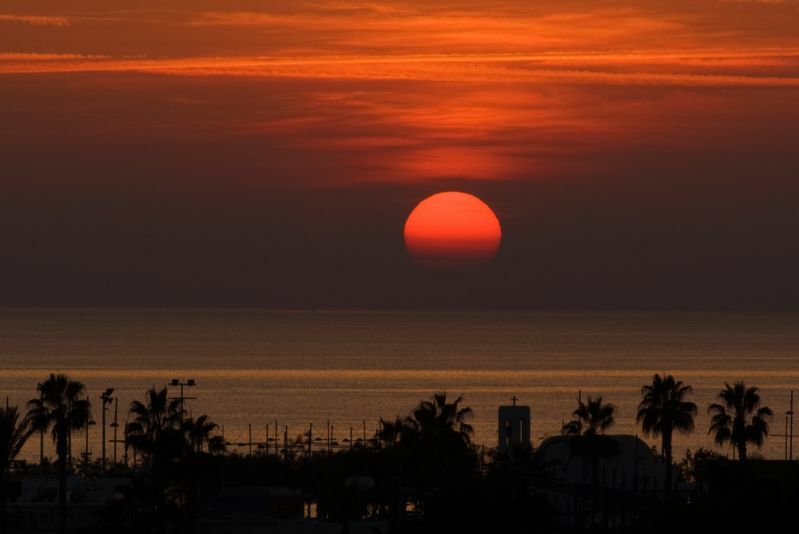 If you are planning a holiday in Cyprus, then dont bother looking at anywhere else to stay, everywhere else would pale by comparison, please take my word for it!" 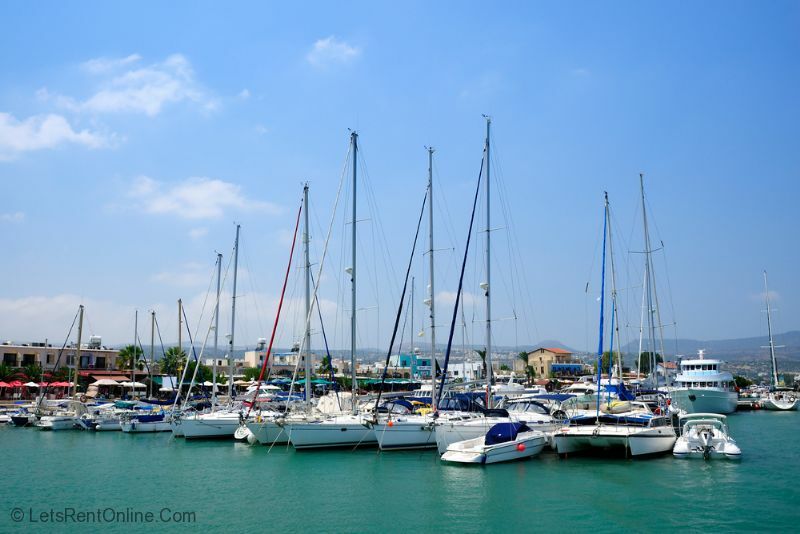 "An easy 1.5 hour drive from Larnaca airport (minutes if you fly to Paphos!). 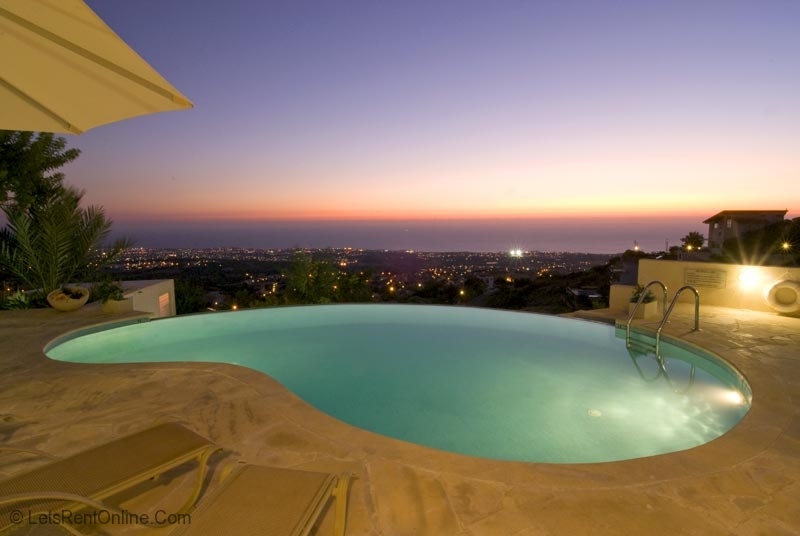 A beautiful villa set in the hills overlooking Paphos and the sea. 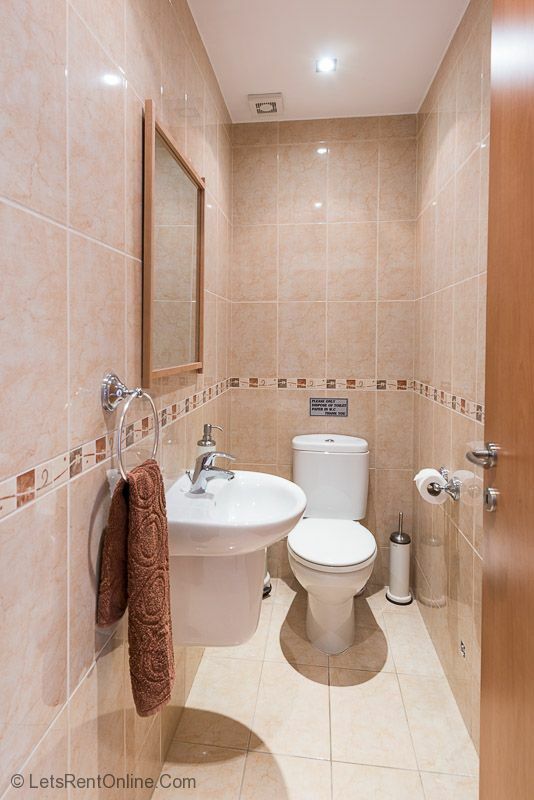 Its also furnished to a very high specification with all mod cons. 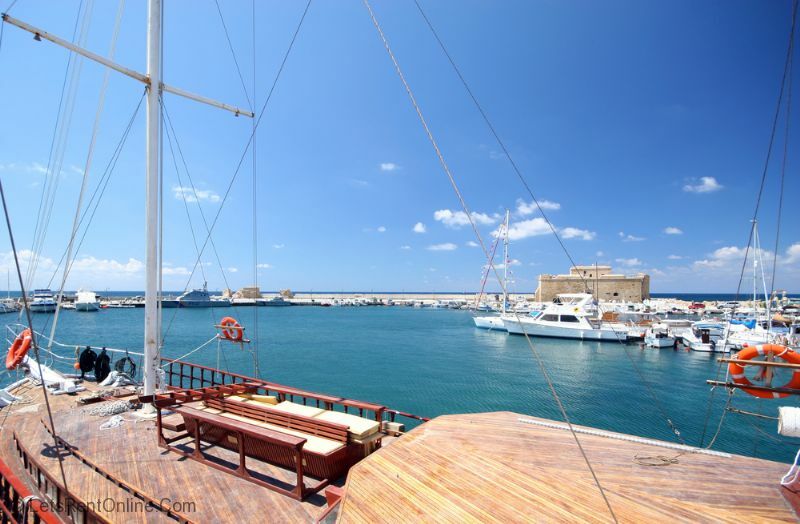 Close enough to Paphos to take advantage of all the restaurants/bars/attractions, but far enough out to enjoy total privacy, peace and quiet. The owners are lovely, clearly take pride in the property and are right next door if you need anything. 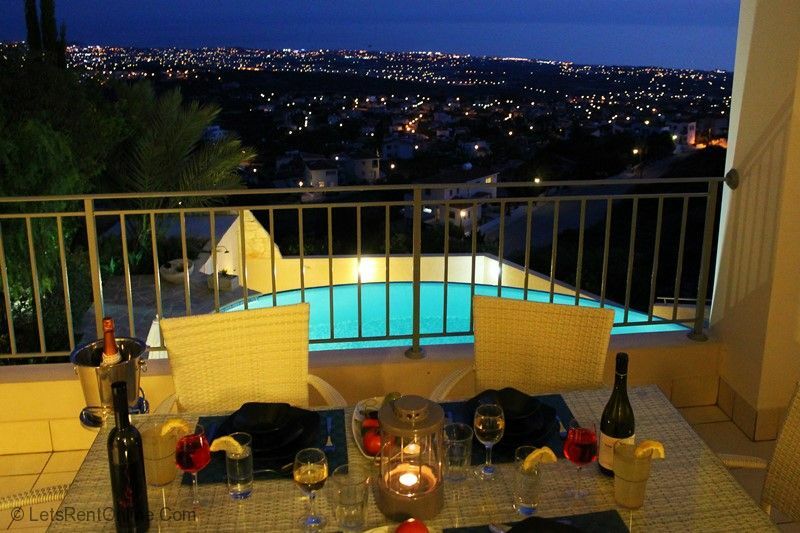 One of the best villas weve stayed in across the world and were planning to return." 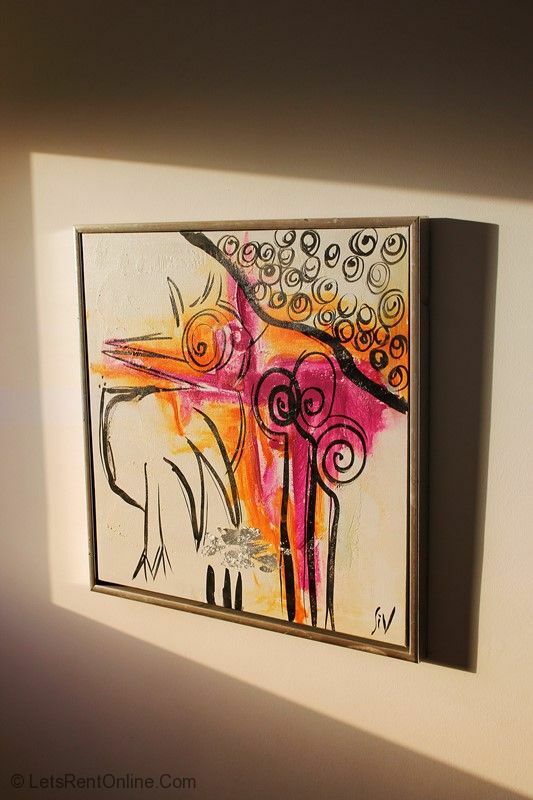 "We feel fortunate to have discovered Villa Serenity. Its very lovely and we will definately be booking again. 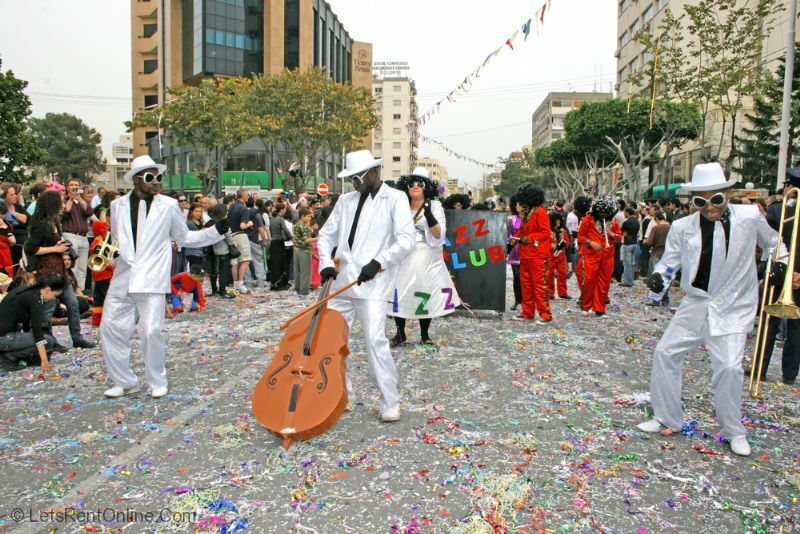 Its within easy reach of delicious restaurants and friendy bars. So many thanks to all concerned." 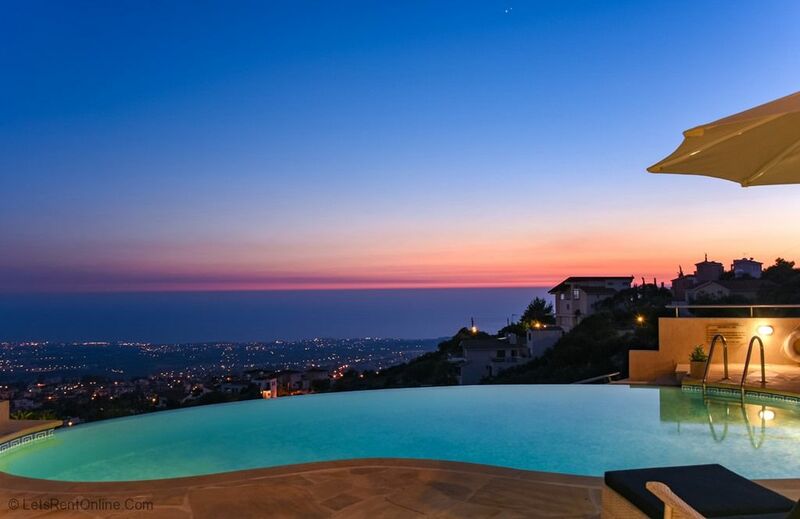 "Great Villa, fantastic view, total relaxation." "Excellent Villa! Fantastic Views! All had a brilliant time. Paul and Elaine Forrest." "Wonderful holiday and amazing views. We all really enjoyed our stay.Marie and Roger, Nigel and Sheila, Andy and Becky." "Had a great time, we cant wait to come back. Thanks very much." 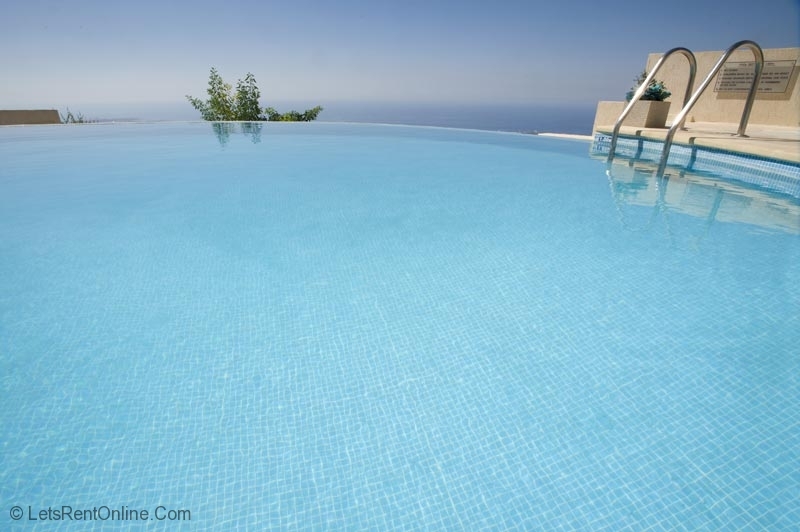 "The villa is even better than I was expecting from the photos on line. It has been equipped with a great deal of thought and care, there is everything that we, as a family of 4, needed for a cracking holiday. 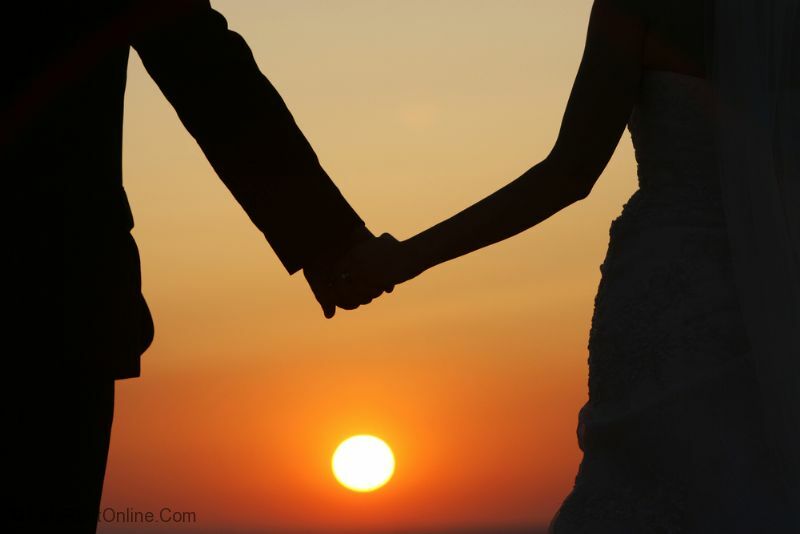 The owners provide a magnificant liaison and make every effort to look after their guests. I will be booking again for next year at the earliest opportunity and I have already given out the details of this property to all of my work colleagues. 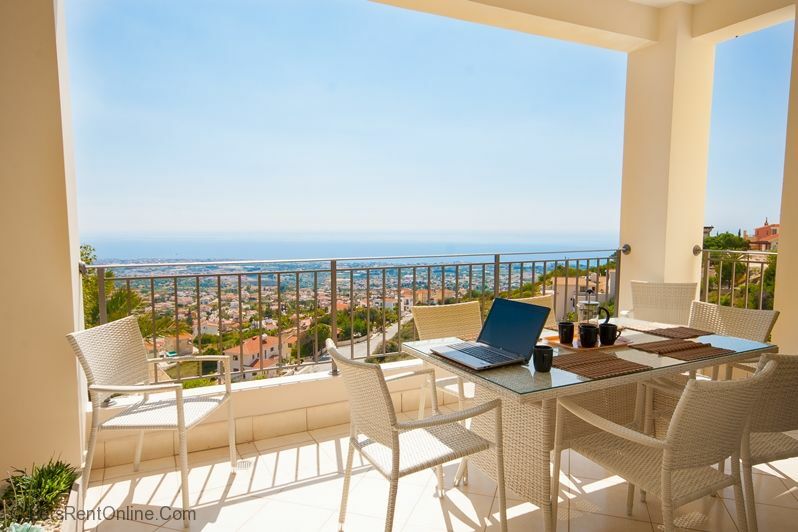 Quite simply, you will not find a better location for your holiday!" 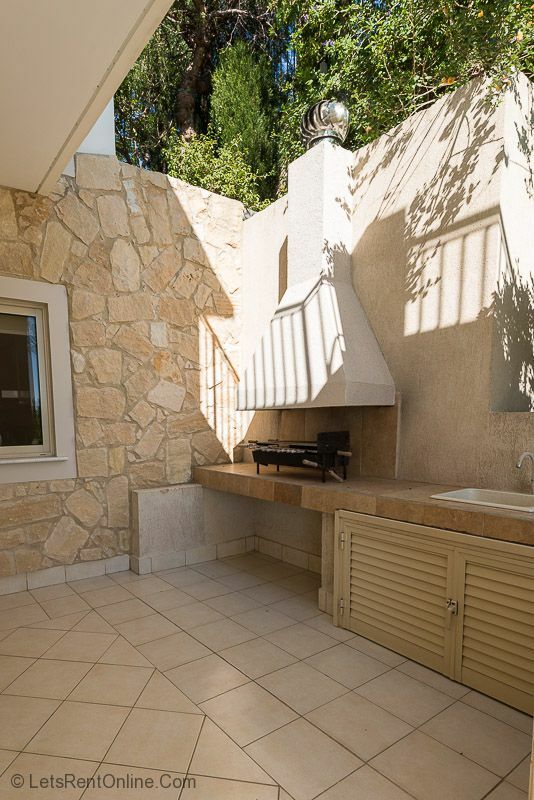 "Wonderful Location Great Hosts Nice Welcome Every facility you could ask for Only "downside" is fact that local town needs car to get to and back , but this was pointed out on the information of the property"
"Vila Serenity was a delight to stay in. 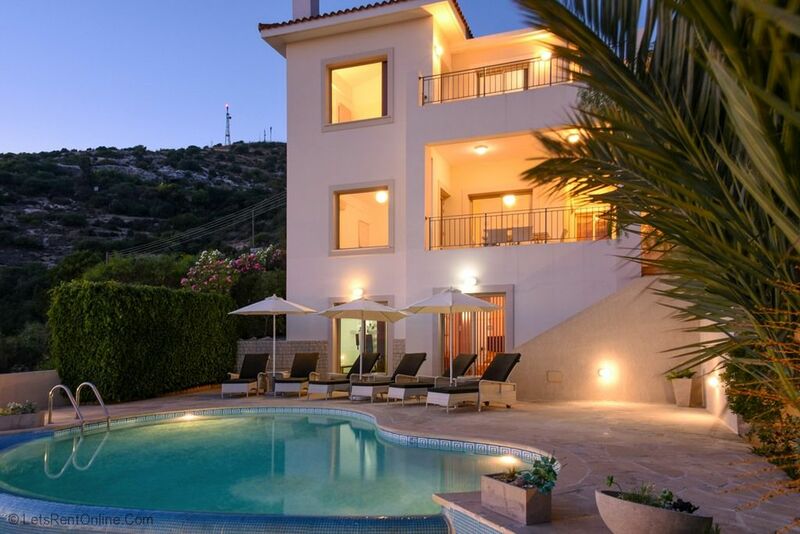 The villa was even better than the pictures expected us for, a fantastic hill top location, modern amenities, stunning swimming pool what more can you ask for. Paphos was only a quick 10 minute car ride away and it was nice to return to the 'serenity' of the villa after venturing into town. 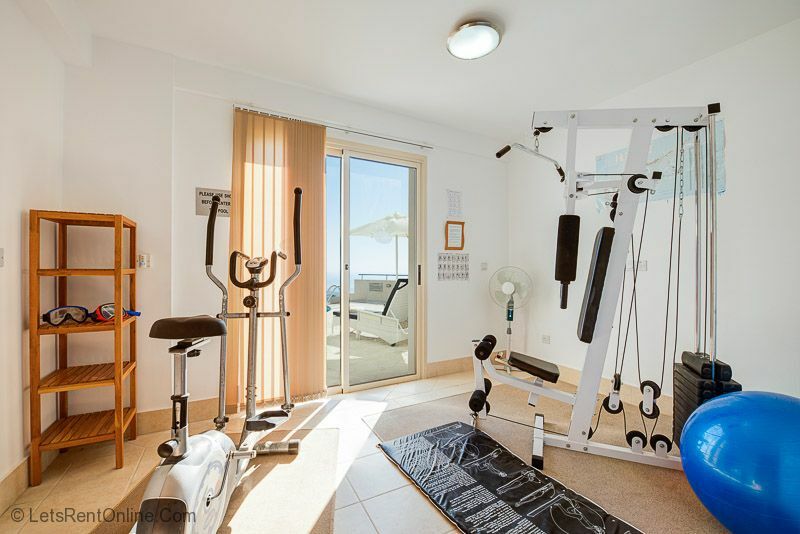 Despite making a pact with myself that I would use the gymnasium every day, this did not happen, but if you can find the energy then you can work out with a view of the sea! A1 Villa, A1 Amenities, A1 Location. " 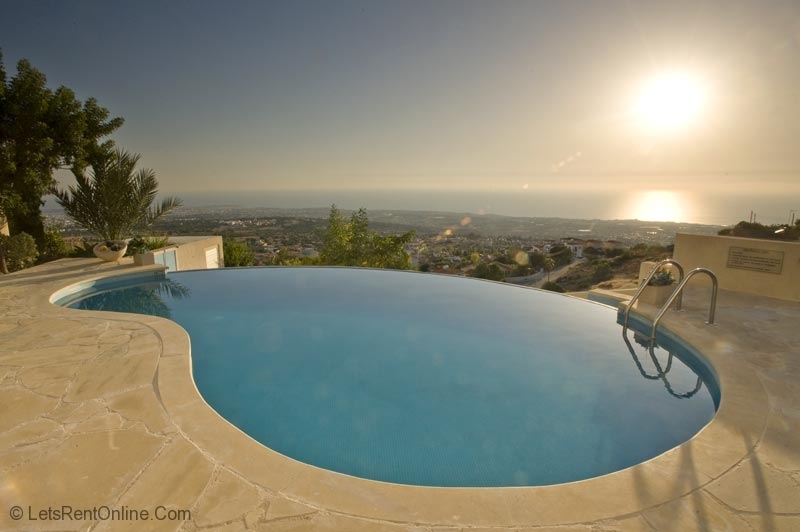 Serenity Villa is situated in the breathtaking hills of Tala, in Paphos. 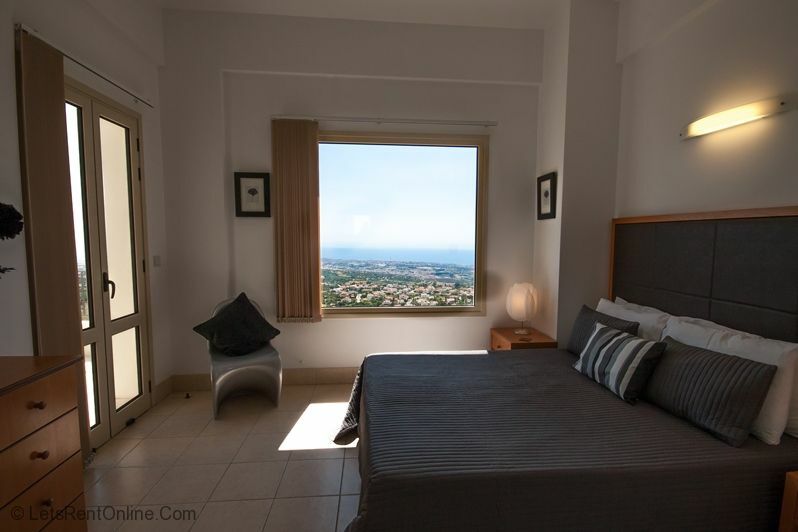 Its elevated position ensures all-round town and sea views which can be enjoyed from the landscaped garden, swimming pool and from most rooms of the house. 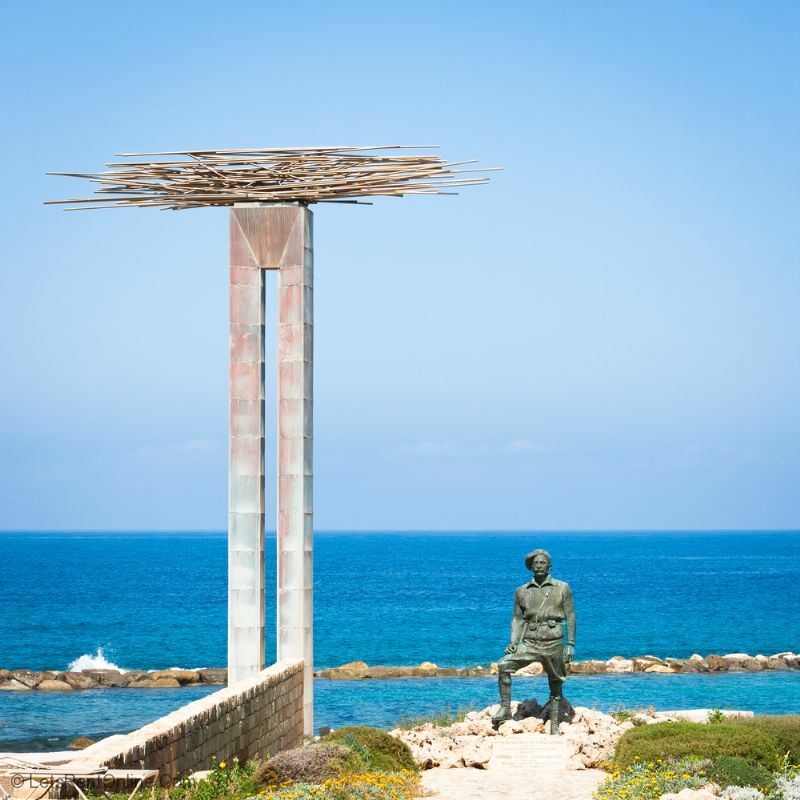 Only a 10 minute drive from the Blue Flag beaches at Coral Bay and from the centre of Paphos, Tala is a popular location for visitors, ex-pat residents and holiday home owners alike.Looking down on the main town of Paphos (out to the Med), and often labelled the 'Beverley Hills' of Cyprus, Tala offers a peaceful location with a good village heart including the impressive monastery (with cafe and cat sanctuary) and a fine selection of bars, restaurants, traditional tavernas and other eateries. A new bakery, internet cafe and small small shops mean you rarely need to leave the village. Tala is home to 'The Gallery' which is a very tranquil and upmarket bistro bar/restaurant, in a private and leafy setting. 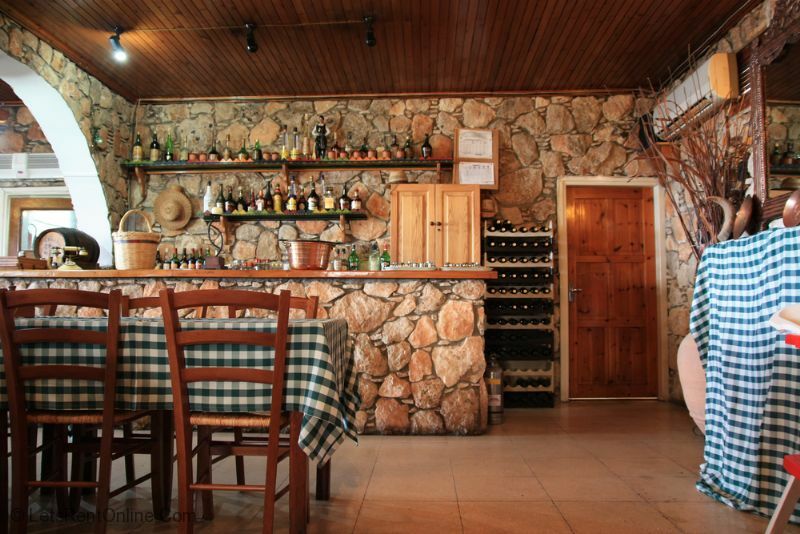 Just outside Tala into the hillside is ‘Vatouthka', a family run Taverna with amazing views and atmosphere. The Sunday lunch buffet is the best value around and booking is always advisable. Neighbouring villages Emba and Mesogi offer a further choice of restaurants and shops away from the main tourist areas. Mesogi is home to the delightful ‘Olivers' delicatessen, 2 large bakeries and couple of the best traditional tavernas around. Kelftiko night at Vassos' tavern on a Thursday is a must do. Great traditional atmosphere, authentic food, music and dancing until late. 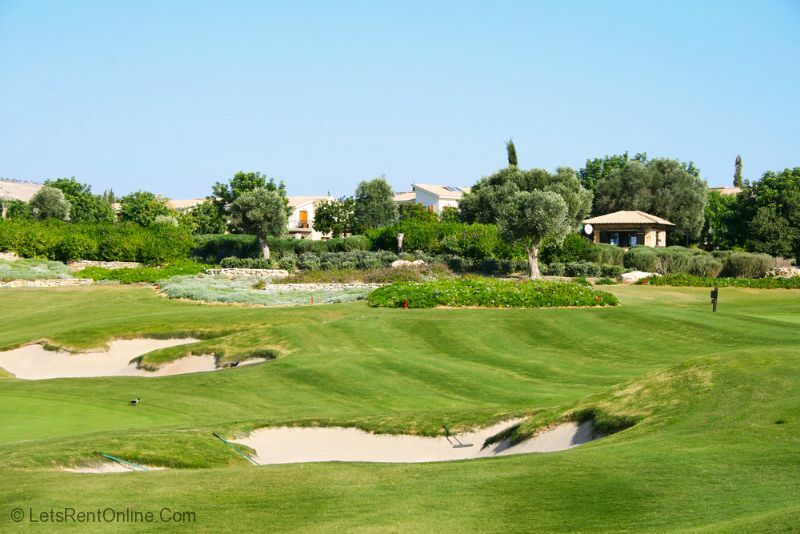 The village is conveniently situated for Golf at 'Minthis Hills', with further golf courses at ‘Elea Estate' (faldo designed), Secret Valley and Aphrodite Hills less than 30 minutes away by car. Sunbeds with Towels & Umbrellas. Fire safety equipment for piece of mind. All rates based on 3 bedroom unless of Low Occupancy Discount whereby 2 bedrooms will be available. 25% deposit required, with the balance paid 56 days prior to arrival.